Materials: tulle fabric, ink and metal. Dimensions: diameter 120 cm, height 70 cm. 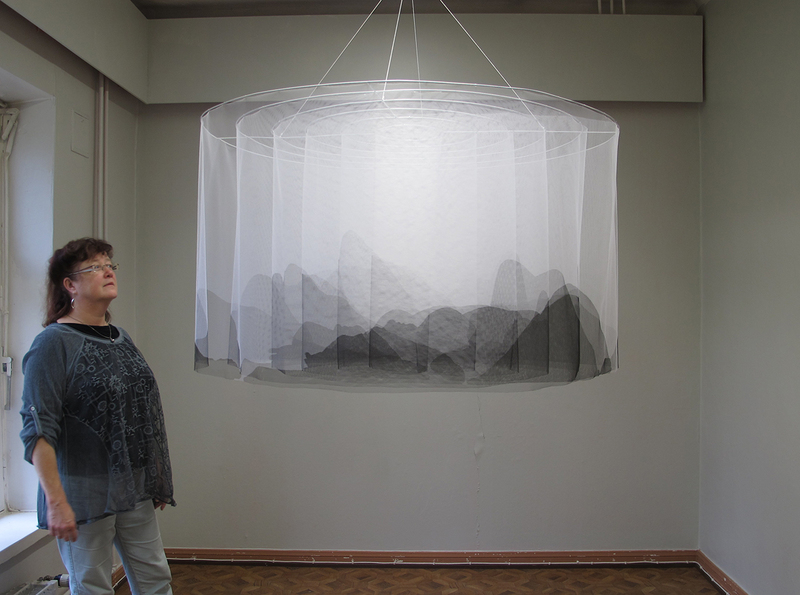 I am a mountain consists of 15 meters long tulle fabric, that is hung on a spiral form. Reclining figures are painted on the fabric with ink. 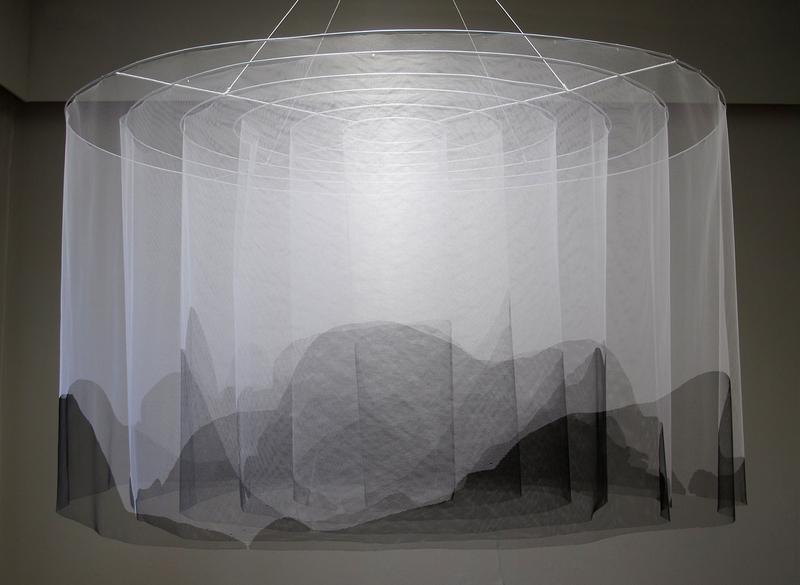 At first glance the work looks like mountains, but with closer view, you can see details that tell that there are human figures. The work refers to psychological phenomenon pareidolia, our tendency to see human faces and figures in the nature.